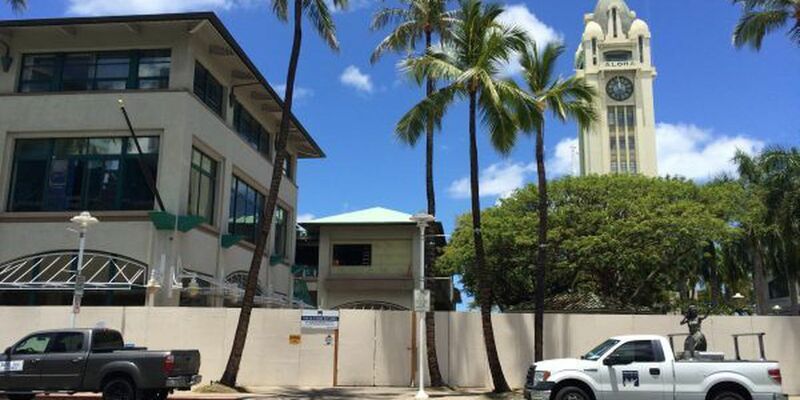 A revitalized Aloha Tower Marketplace is set to open in the fall with several new shops. Up first, Nashville Waikiki, a popular western bar, is set to open in July. Then by September, eateries including Subway, Boston Pizza, Taco Del Mar, a ramen shop and rotisserie chicken restaurant will open for business. Aloha Tower will also be home to Palama Express, a smaller version of Palama Market. In addition, the tower will include dorms for 280 Hawaii Pacific University students, learning facilities and an urgent care medical clinic. HPU has been the sole owner of the marketplace buildings since 2013 and began renovations roughly a year ago. "Aloha tower has always been for a community gathering place and what our purpose will be here is to really draw in our community and make them a part of the university campus here at Aloha Tower," said Sam Moku, Vice-President of University Relations. This Fall's opening of the Aloha Tower Marketplace also coincides with HPU's 50th anniversary, which will be celebrated in September.